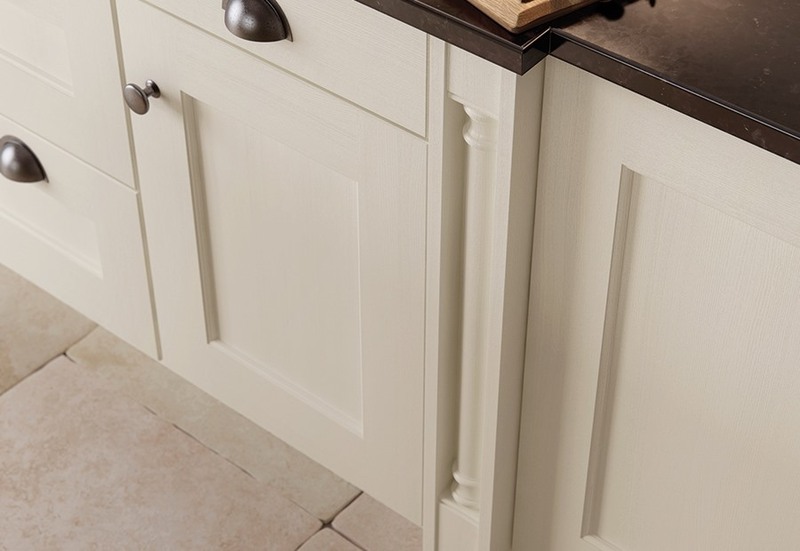 The Wakefield shaker kitchen has an internal moulding which surrounds the centre panel which makes it a compromise between a contemporary and tradiational shaker door style. 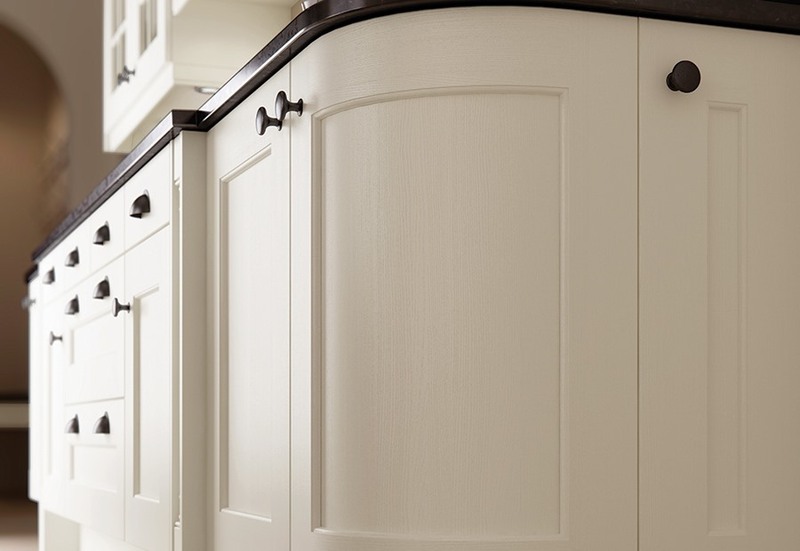 The Wakefield is available here in ivory but can also be supplied in oak or painted. 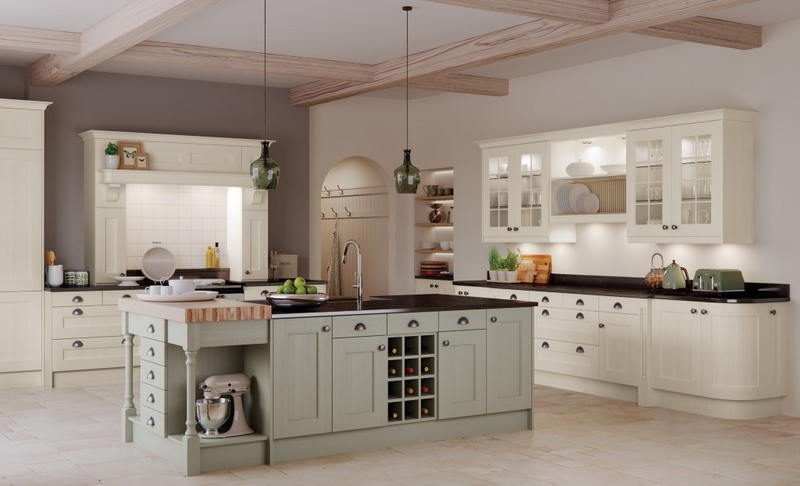 The picture below shows the ivory which has been mixed with sage green painted kitchen units within the island.